UIDAI Recruitment Notification 2018 Has Released For 07 Accountant, Stenographer, Private Secretary Posts. All Candidates Can Apply Offline On Or Before 27-04-2018. It is a good opportunity for all the interested candidates who are looking for government jobs in Unique Identification Authority of India. For more information related to Educational Qualification, Age Criteria, Selection Mode, Important Date and other Eligibility processes please read the below article carefully. Also must read the official advertisement in detail before applying. Educational Qualification – Candidates should have completed 2 years regular service / having passed SAS, SOGE / Having a Professional degree of CA or ICWA / 5 years experience in finance, accounts and budget-related matters or its equivalent qualification from a recognized university. Check also official Advertisement for complete detail. Age Criteria– Candidates upper age limit should not exceed 56 Years As on 27-04-2018. Age relaxations will be applicable as per the rules. For further post wise age detail go to important links given below. The scale of Pay: Rs. 15,600 – 39,100/- With 5400/- Grade Pay (Post 1), Rs. 5200 – 20,200/- With 2800/- Grade Pay (Post 3), Rs. 9300 – 34,800/- With 4200/4800/- Grade Pay (Post 2,4-6). Important Dates – All eligible and desirable Candidates are advised to apply through Offline mode as soon as before 27-04-2018. 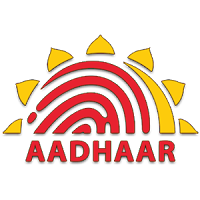 Address –ADG (Admin), Unique Identification Authority Of India, (UIDAI), 7th Floor, MTNL Exchange Building, GD Somani Marg, Cuffe Parade, Mumbai- 400005. Detailed Advertisement & Application Form For UIDAI Recruitment Notification. Official Website For UIDAI Recruitment Notification.